A Great Weekend for Garfield! 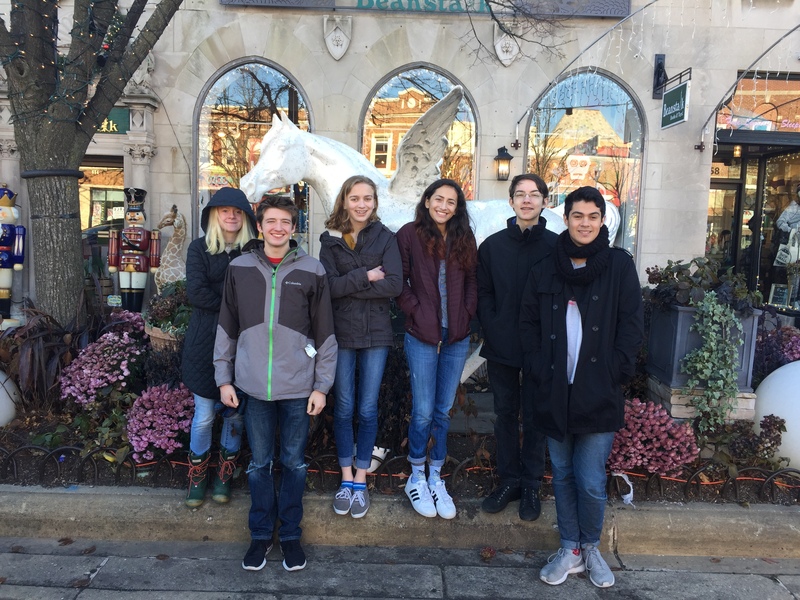 The Garfield 3rd Year debaters posing in Highland Park, IL, after completing the 2016 Glenbrooks Speech and Debate Tournament. This past weekend was a milestone for the Garfield debate team – it was the first time that we have managed to attend two tournaments in one weekend! Ms. Young and I took the 3rd year debaters to the 2016 Glenbrooks Speech and Debate Tournament in Chicago, while Ms. Glinski took the novice and 2nd year debaters to the Tahoma High School Golden Bear Classic. A big thank you to Ms. Glinski for making all of this possible… this was her first time as the sole coach at a local tournament. This allowed us to take advantage of the great competition of a national circuit tournament for our 3rd years, while not denying the rest of the debaters an opportunity to gain experience at a local tournament. Definitely a great step for our team! I’m happy to report that the students did a great job at both tournaments. At Glenbrooks we debated against some incredible teams, including one of the teams that ended up in the finals round of the tournament (out of 170 teams!). Despite this very high level of competition, all the teams managed to finish with a record of 3-4. I think that we learned a lot and can be very proud of our performance! This tournament has a special place in my own heart, as it’s one of the tournaments that I regularly attended when I was a debater myself. The debaters at Tahoma also had a lot of success. At the varsity level Mabel and Aisley went 3-2 and broke to the semi-finals. At the novice level Don and Carl also went 3-2, and then went on to win the tournament. This was the last tournament at which our 1st year debaters will be debating at a novice level… in January they will all graduate to their first varsity rounds! Next up is a tournament at the University of Washington! Our Success Continues at Gig Harbor!! !